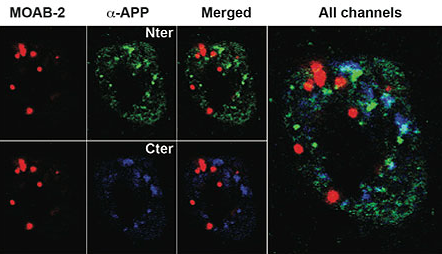 In living organisms, ExtraCellular Matrix (ECM) builds up a complex and dynamic network of molecules, playing a major role in structural support, adhesion, movement and cellular regulation. 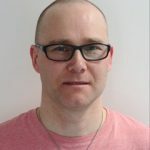 Major components of the ECM (Collagen, Proteoglycans, Elastin, Hyaluronan) are key elements studied in the Pharmaceutical and Cosmetology fields due to their strong involvement in tissue regeneration, skin repair, wound healing, ageing diseases, surgery, inflammation, and also tumour development. Boost your ECM studies with these 5 kits! To help you in monitoring this component, let’s take a look at five robust and easy-to-use, in vitro assays, with colorimetric read-outs for easier daily use in your research. 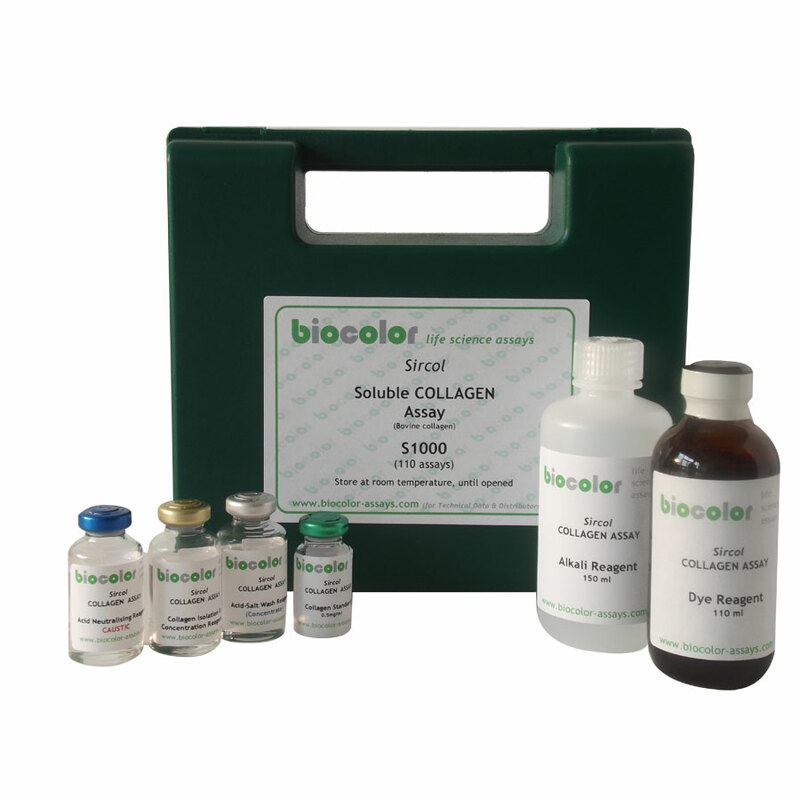 – collagen, soluble in cold acid or pepsin, recovered from mammalian soft tissues, cartilages and fluids. 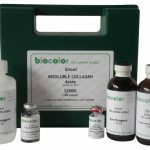 – collagen, soluble in cold acid or pepsin, released into cell culture medium during cell growth and cell maintenance. 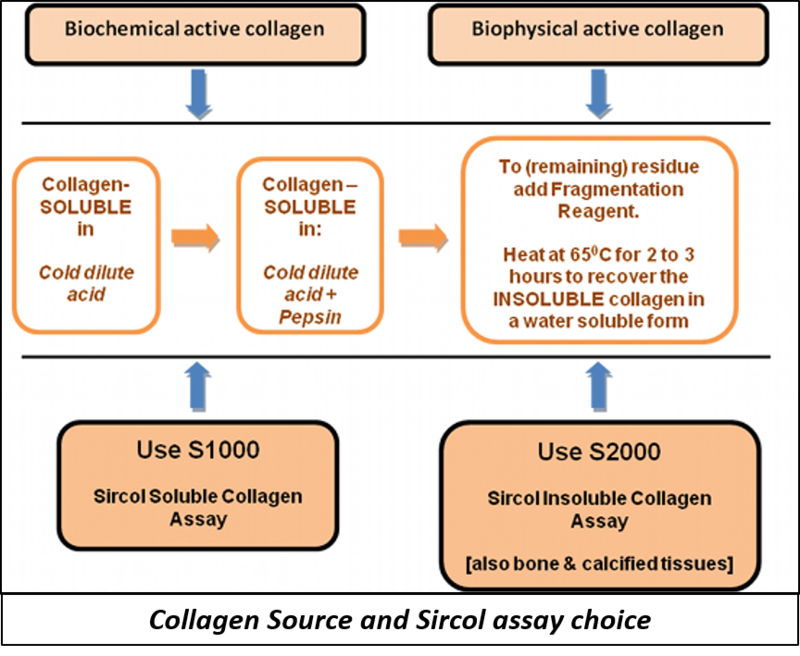 – collagen, soluble in cold acid or pepsin, recovered from newly formed extracellular matrix that has been deposited onto cell culture treated plastic surfaces, (T-flasks and microwell plates). 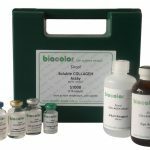 This easy-to-use colorimetric assay, will allow you to detect up to 1µg of soluble Collagen in less than two hours. 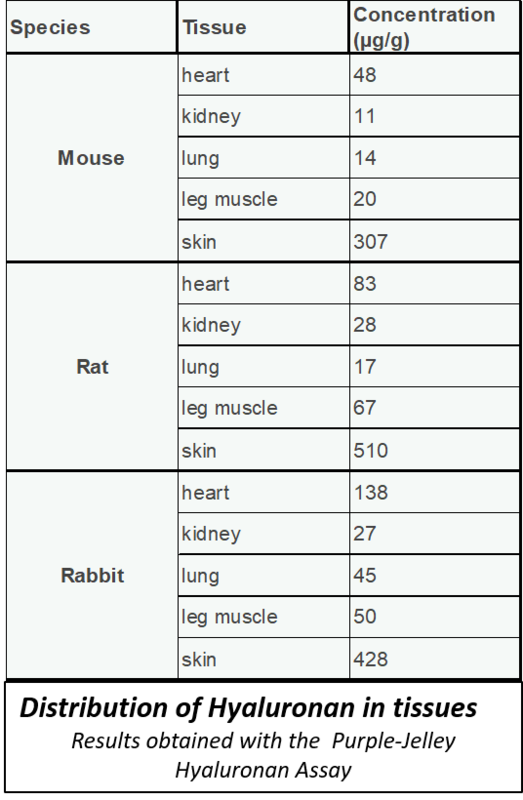 Types I to V mammalian collagens can be measured with the assays. 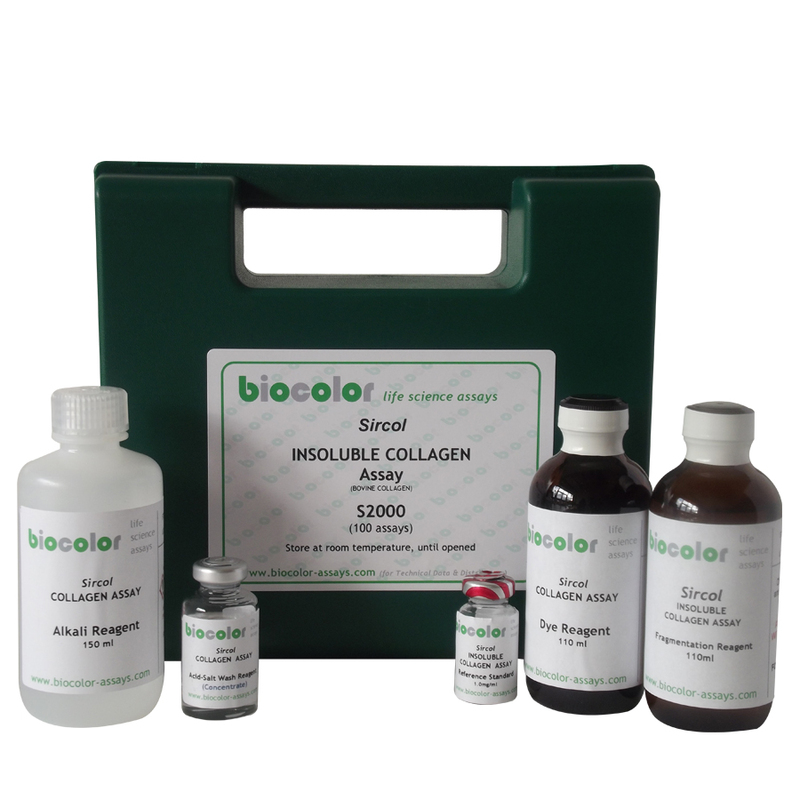 The Sircol™ INSOLUBLE Collagen Assay is a dye binding method for the analysis of insoluble collagen fibers. 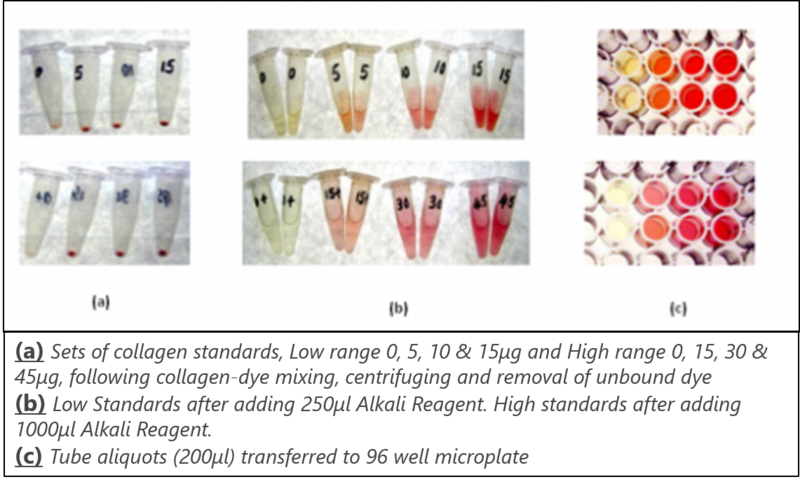 The assay can be used to assess the production rate of newly laid down collagen fibers during periods of rapid growth, development, tissue repair, remodelling and wound healing. 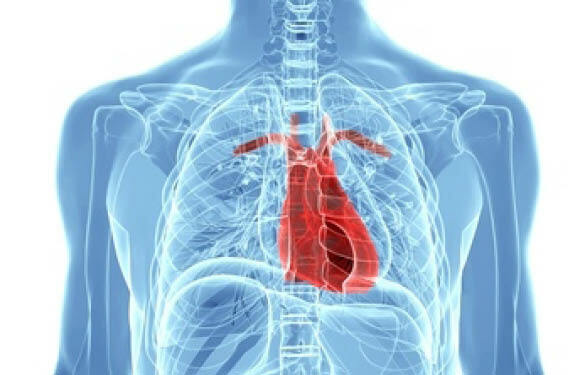 Sources of material includes tissues, bone and calcified tissue. 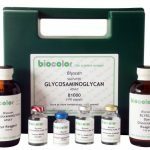 Used to measure up to 0,25µg of total sGAG, this Blyscan™ Glycosaminoglycan Assay can be also adopted to determine the O– and N-sulfated glycosaminoglycan ratio within test samples. 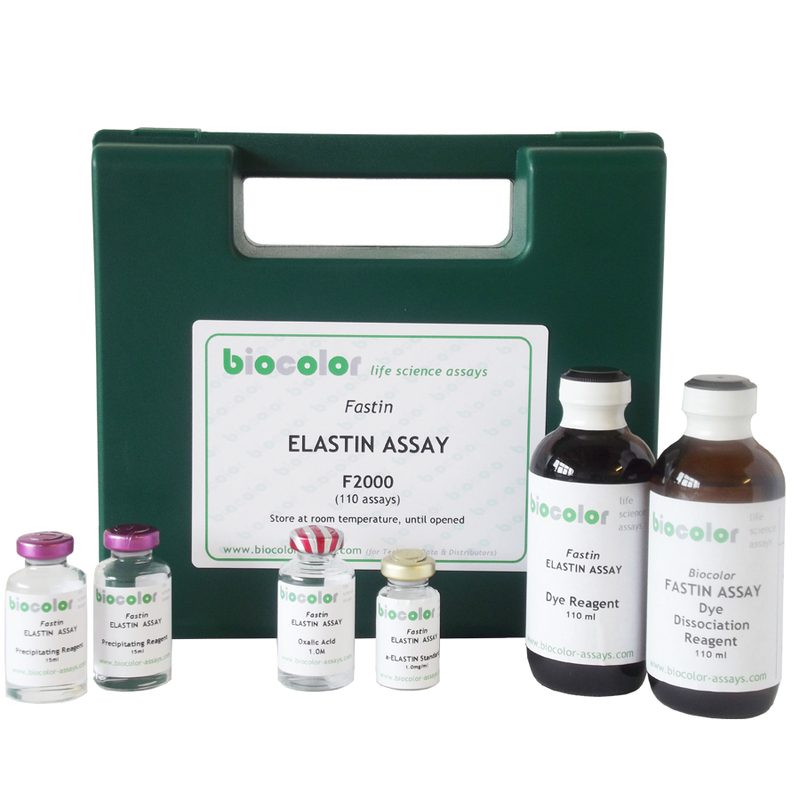 The Fastin™ Elastin Assay is a quantitative dye-binding method (Read out: 513 nm) for the analysis of elastins extracted from mammalian sources (Tissue extracts and cells during in-vitro culture). 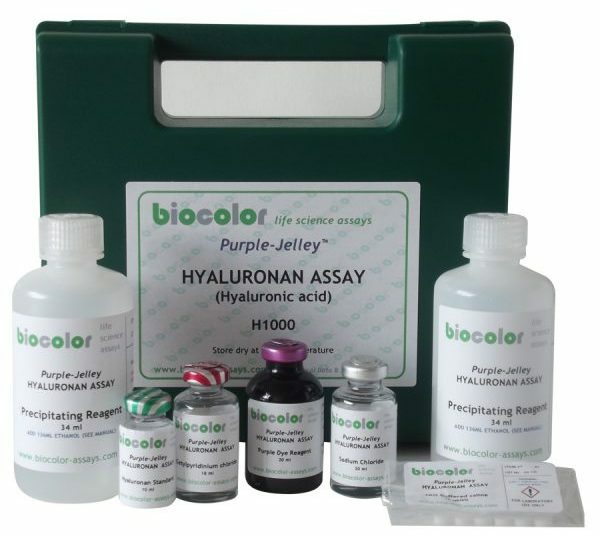 The Purple-Jelley Hyaluronan Assay is used to measure the quantity of hyaluronan (hyaluronic acid) in mammalian tissue. 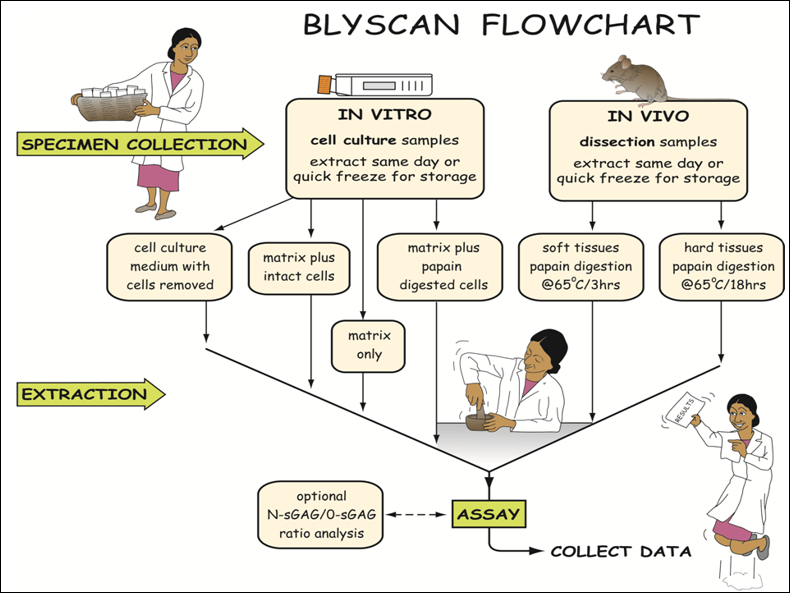 As for the previous assay, this assay is a dye-based method with a detection limit of 0.2μg. 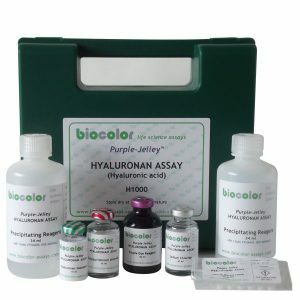 This assay relies on the affinity of the Purple dye to Hyaluronic acid. 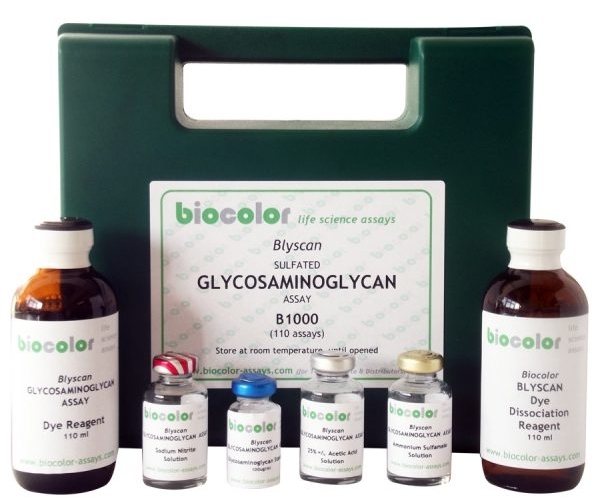 To avoid cross reactivity of the dye, it’s essential to remove other potential binding protein (Tissues proteins and Sulfated glycosaminoglycans (sGAG)) before the measurement. 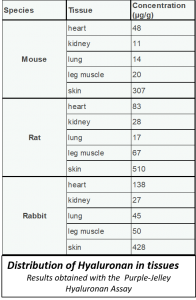 Methods for easy protein and sGAG removal are specified in the Purple-Jelley™ assay manual. 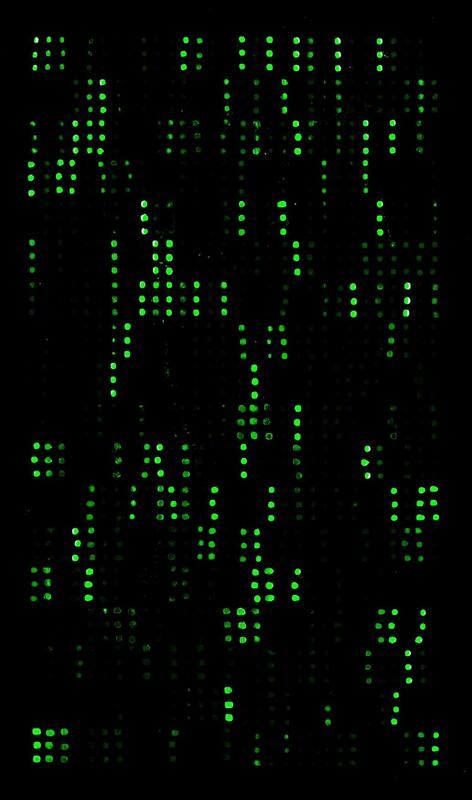 Finally the readout of the assay can be done at 655 nm using a microplate spectrophotometer. Distribution results of Hyaluronic Acid in different kind of tissues, summarized in this table, were all obtained with this Purple-Jelley Hyaluronan Assay. 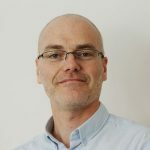 Have you already considered outsourcing your ECM quantification? 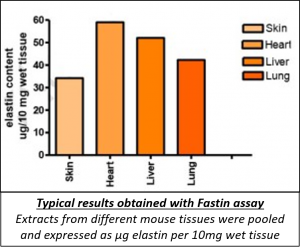 More and more research labs outsource their biomarker quantification to Contract Research Organizations (CRO). 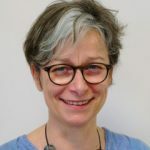 This choice is a clever and affordable solution when internal resources or competencies are unavailable or when an overload of work is affecting research programs. 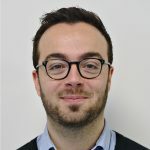 tebu-bio enables you to outsource your quantification at their laboratories located closed to Paris. 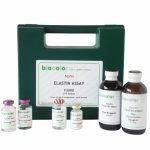 Their experienced lab staff are accustomed to working according to Good Laboratory Practices (GLP) and ISO 9001:2008 conditions. 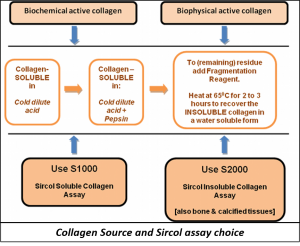 tebu-bio laboratories perform ECM component studies (Collagen, Elastin, HA….) 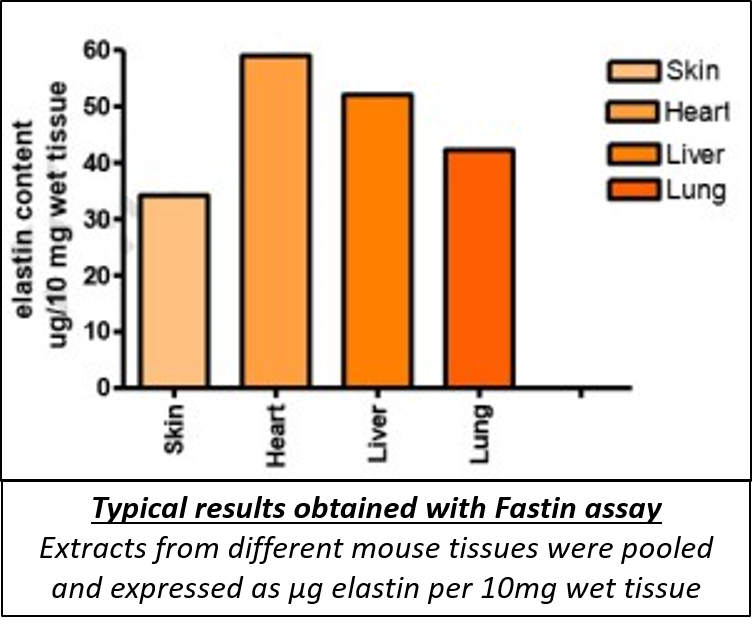 and also other biomarkers ( Oxidative markers, MMPs, ORAC, ABTS, PPAR) on a regular basis. 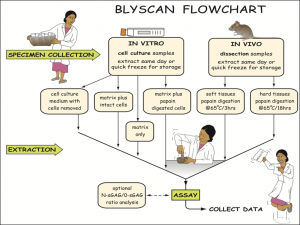 Interested in using one of these assays or getting our lab to measure ECM components for you? 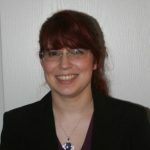 Looking for more reagents for your ECM research?